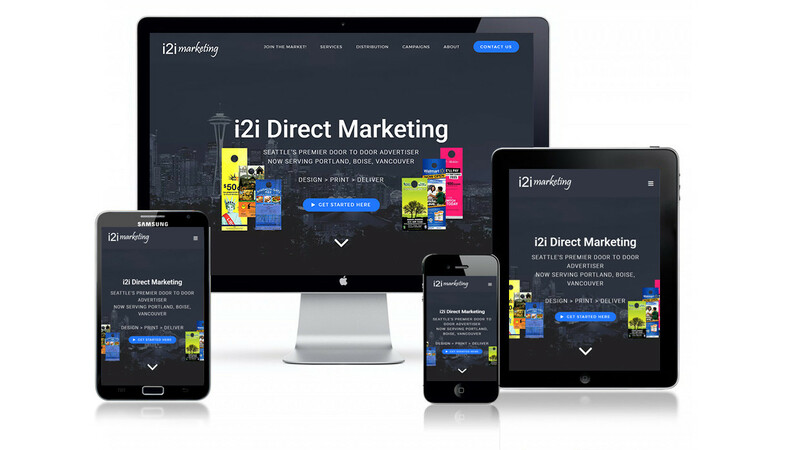 This is the second Website incarnation that SDG has designed for i2i Marketing in Seattle. 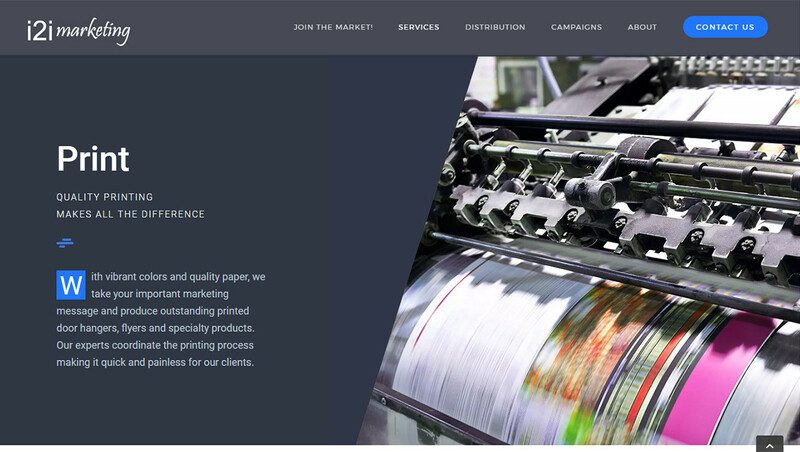 We’ve developed this WordPress site to be beautifully bold yet easy to maintain. 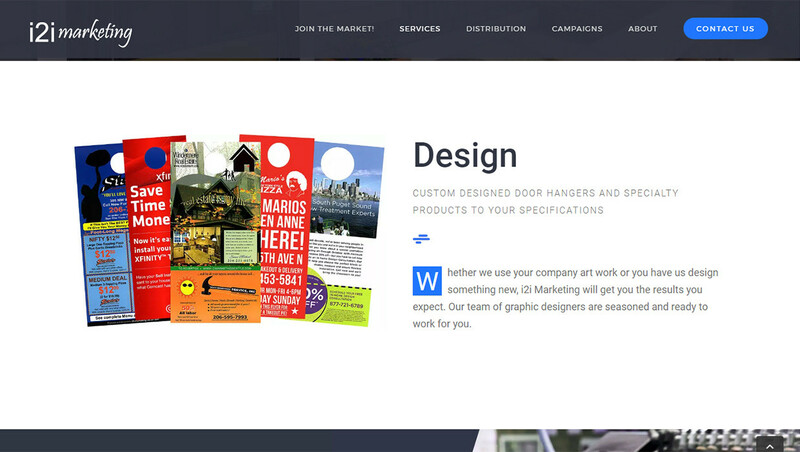 i2i specializes in direct to door marketing pieces (or door hangers). 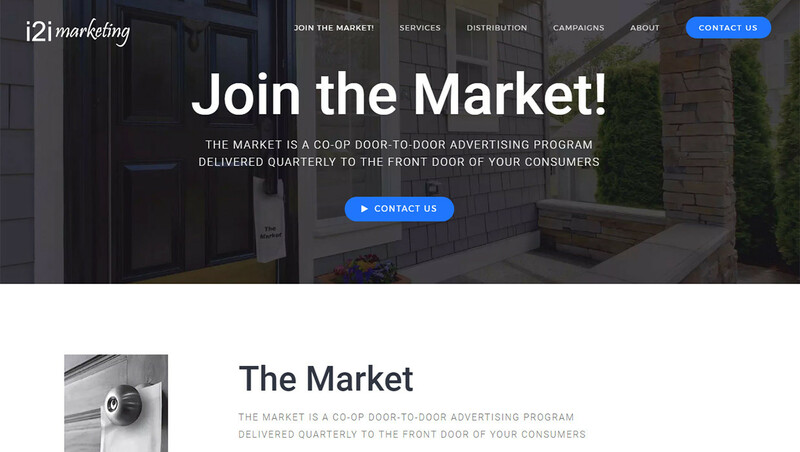 This site gives them the opportunity to showcase their incredible services and expand in to neighboring markets.